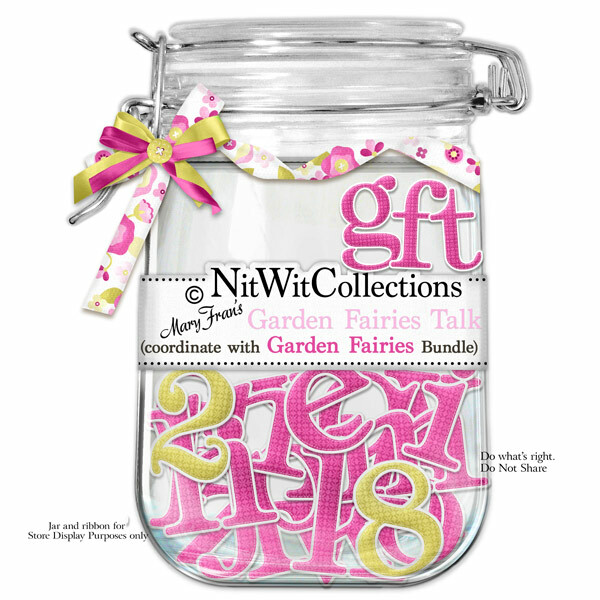 "Garden Fairies" Talk is a colourful and simple alpha with a houndstooth type pattern in it that will allow you the freedom to create whatever words you see fit. Individuality is the spice of life!! 1 AlphaWit set of lowercase letters, &, apostrophe, exclamation mark, question mark, and set of numbers (0 to 9) Letters are in deep pink and the numbers and punctuation are chartreuse in colour.